No matter how many times I visit Springfield, one thing I always love to do is visit the State Capitol and gaze up at the amazing interior of the dome. It is absolutely breathtaking. Not quite as impressive in size and design, but stunning on its own is the Old State Capitol. In fact, I like to visit one and then the other just to examine the contrast between the two. 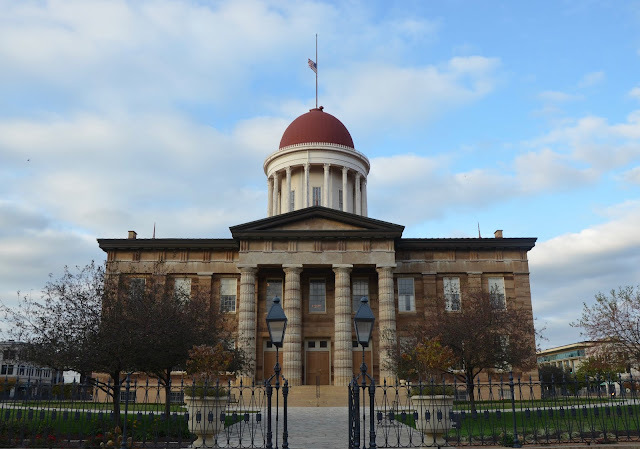 Built in the Greek Revival Style between 1837 and 1840, the structure was the fifth capitol building in the state. It served as the statehouse from 1840 to 1876. It was the first state house to be located in Springfield. 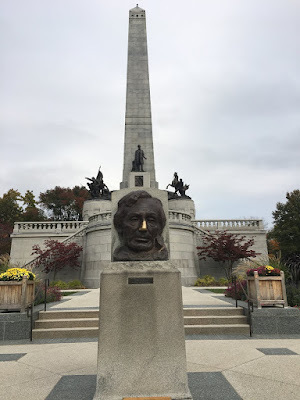 It is where Abraham Lincoln presented his famous "House Divided" speech in 1858 and it was where he spend much time doing research and work as both a lawyer and a politician. The Old State Capitol is open daily from 9 - 5 p.m. (with the exception of some holidays) and there is no admission fee, but donations are welcome. For more information, visit www2.illinois.gov. 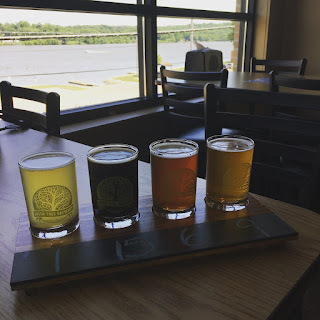 On a recent media visit to the Quad Cities, we did a day trip to LeClaire, Iowa. It's a river town just north of the Davenport that was about a 20 minute drive for our hotel. The main street through town runs adjacent to the river, divided by a railroad with several blocks of eateries, shopping and other attractions. Dotted with specialty shops, you'll find clothing boutiques, salvage/antique stores and gourmet shops galore, most notably Antique Archeology, which is the store that spurred the "American Pickers" show on the History Channel. You'll find a canning company, olive oil company, popcorn shop and chocolate store. 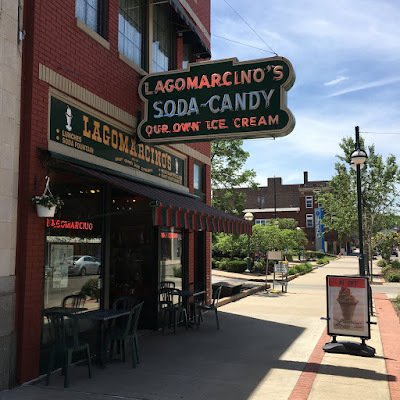 Dating back to 1908, Lagomarcino's is a classic, nostalgic ice cream parlor and soda fountain where you can enjoy a big delicious overdose of sugar. 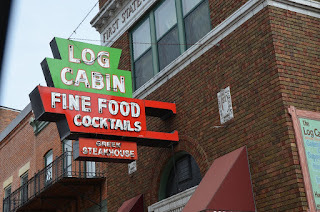 With homemade ice cream, handcrafted chocolates and the best hot fudge you can imagine, "Lago's" as it is also known has been featured in Midwest Living and National Geographic Traveler and earned a James Beard "America's Classic" Award. Have a seat at one of the mahogany booths or a barstool at the counter in this charming old-school place that is also a deli, serving up sandwiches on their own freshly made soft rye bread. The hot fudge that is served on the ice cream is from a special recipe that Angelo Lagomarcino, an immigrant from Northern Italy, purchased from a peddler in 1918 for $25. The man promised him and exclusive recipe for the perfect hot fudge. He seems to have been a man of his word. The recipe proved to be popular and is still used nearly a century later. Being a mom of five sons who are all interested in military history and as someone who has several military veterans in my family, the Rock Island Arsenal was one of the places I most wanted to see when we planned a trip to the Quad Cities (made up of the towns of Rock Island and Moline, Illinois and Davenport and Bettendorf, Iowa.) I knew it was something my boys would be fascinated by. My husband and I were on a solo trip, but I'm already making plans for a trip back there with the kids this summer. Rock Island Arsenal is an active military facility and I'll write more on it in another blog post. It was a really interesting place to visit. The Rock Island Arsenal Museum is one of the spots we stopped at while on Arsenal Island. The museum is the Army's second oldest museum, which first opened to the public on July 4, 1905. 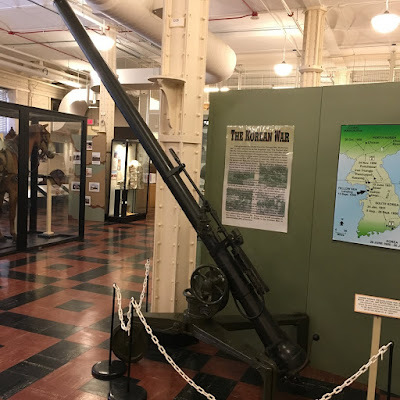 The only Army museum that dates back earlier is the one at West Point. One of the best things to happen to Homewood, Illinois in recent years was the conversion of an old bank building in the downtown area into a luxury boutique hotel with a magnificent bistro in 2015. The hotel was named La Banque, which in French means "The Bank." The former bank looks like a bank no more, but some special little touches to the building give hint to its former occupants - including plate covers from the safe deposit boxes that were used for room numbers and to decorate the bar area. In the restaurant, a vault serves as a private dining room with the inspection labels still intact showing the signature of J. Edgar Hoover, then the head of the F.B.I. A vault in the basement serves as a workout room in the gym. Being the huge Cubs fan I am, a visit to Wrigley Field is something I always recommend for visitors to the Windy City. 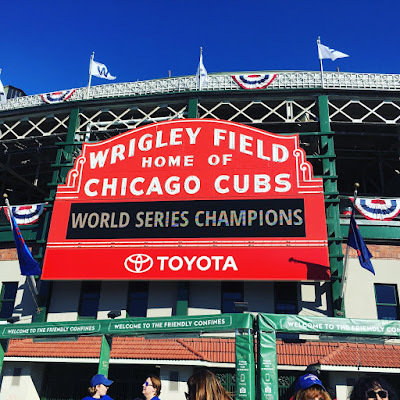 Even if you're not a Cubs fan, but are a baseball fan, you'll be able to appreciate the charm and tradition and history of the country's second oldest ball park. But, if you head to a game (or even if you don't), there's just something magical about the neighborhood and it's a fun place to be on game day - or even stroll around on a non-game day. 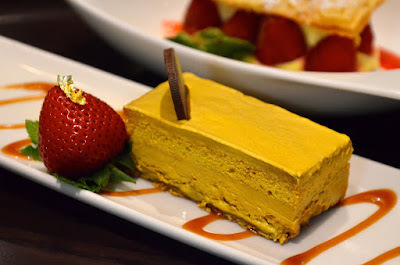 There are some lively bars and awesome eateries in the neighborhood for a bite (I love Cubby Bear and Rockit Burger Bar.) It's also worth taking a walk all the way around the ball park to see the statues erected to some Cubs legends. Stop in the Wrigleyville Firehouse and meet the friendly crew. 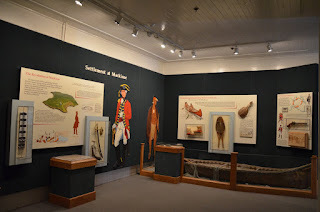 On our first visit to Mackinac Island, we had been encouraged to visit Fort Mackinac. It was a great recommendation for our family of boys, all of whom are into military history. As part of Mackinac State Historic Parks, this well preserved piece of American history makes for a fascinating visit for any age. Our visit was part of a tour via horse carriage and we explored over a dozen historic structures. It also includes the oldest building in the state. With interesting exhibits and some period furnishings, taking a walk through transports you to a different place in time. From soldier barracks to the post hospital to the officers' quarters, you're able to get a sense of what life was like for those who resided on this island fort in the 18th and 19th centuries. A big hit with my kids were the weapons firing and the cannon firing. The costumed interpreters are full of knowledge of the time period, staying in character as they convey the history of Fort Mackinac to guests. 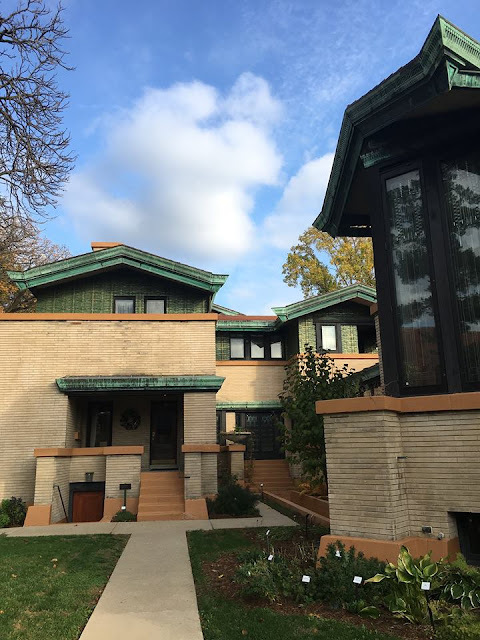 Designed in 1902 for Susan Lawrence Dana, and independent and wealthy socialite, the Dana-Thomas House was the 72nd building designed by famed architect Frank Lloyd Wright. It holds the largest collection of site-specific original art glass and furniture. The mind-boggling 16 varying levels have 35 rooms and have a total of 12,000 square feet of living space. The home is a stunning example of Wright's "Prairie-style" architecture and the home contains many customized pieces that he also designed for Dana, including lamps, wood pieces and stained glass. The home's next owner was Charles Thomas, a medical publisher, who preserved much of the home throughout the 31 years it was owned by him - and later his wife following his death. In 1981, the state of Illinois bought the home in 1981. The home was restored between 1987 and 1990. We are finally into the official summer season, even though the calendar indicates that there are a few weeks left of spring. The temperature is rising, schools are finishing up for the year and soon families will be heading to outdoor destinations for a little fun. 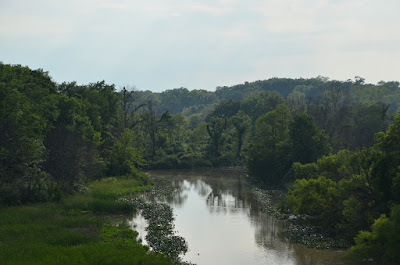 You'd have a hard time finding a better outdoor space than the White River State Park in Indianapolis. 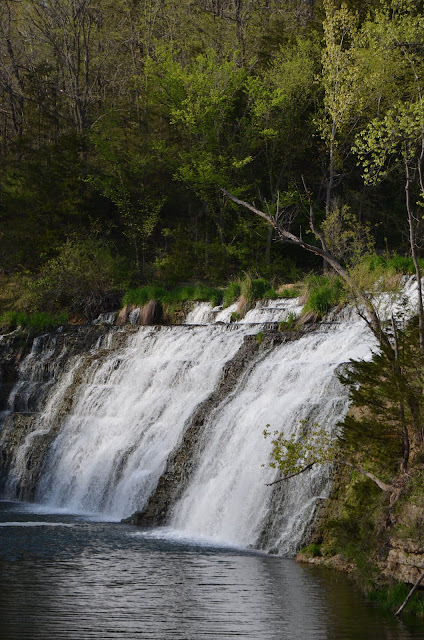 Actually, it's not just the outdoor spaces that make Indiana's only urban state park so great, it's the combination of outdoor attractions paired with some great indoor museums and attractions. 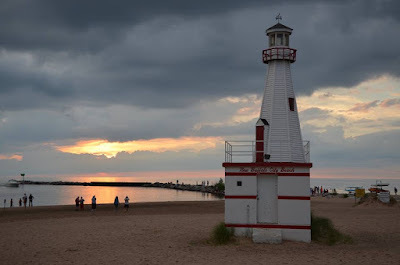 I'm participating in a 30 places in 30 days blogger project and the topic with several different bloggers sharing travel spots. I was to focus on was a factory tour. I've done a few factory tours over the years that I really enjoyed, like the National Corvette Museum and the Pierce Firetruck Factory. I remember touring the Jay's Potato Chip factory on a field trip in 2nd grade and I was fascinated. It's still my favorite field trip from childhood. The place I selected to write about is a little different than a factory tour. It's actually the tour of a distribution facility, but it's a fun stop where you learn a lot and get some yummy samples. It's the Jelly Belly Center in Pleasant Prairie, Wisconsin, which is in the southeast corner of the state, just above the Illinois border.